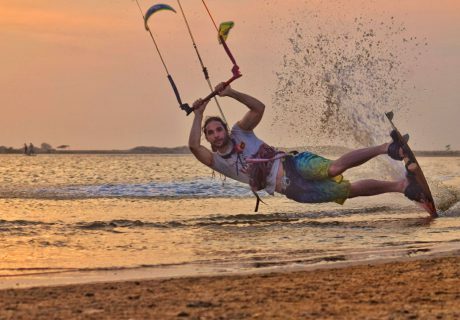 Kiteboarding Sri Lanka with Kitesurfinglanka - Best kitecamp on the island! 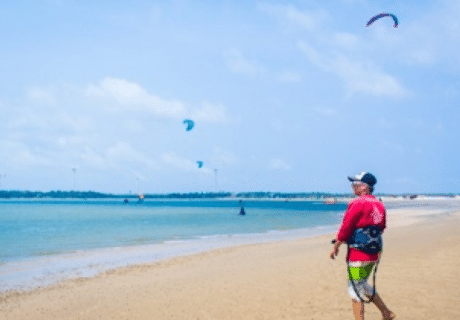 With more than a dozen spots around Kalpitiya, you will be kiting in heaven. We have Flatwater, Waves, Lagoon. Experience uncrowded sessions! Wind blows at an average of 18-20 knots almost every day during our Summer Season – May to October. We also have a Winter Season - December to March when we have afternoon winds - Winter is still 28 Degrees! On one side of the peninsula is the Indian Ocean: ideal for free-ride and wave riding. 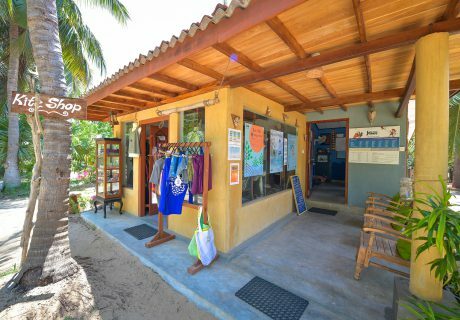 On the other side is Kalpitiya Lagoon, a perfect spot for beginners and freestylers. 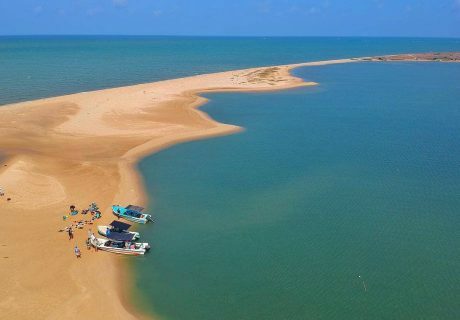 In between: Puttalam Lagoon, with perfect flat water, it’s great for downwind trips and kite safari, freeride and camping on islands. There is something for everyone, allowing you to come in groups with different levels. We are the best in organized Kite Trips which happen many times a week. From beginners to advanced riders, our certified kite instructors will make their best to make you enjoy your lessons. Want to discover some great and uncrowded flat spots during one or more days? Come with us on a kite safari ! Need a board a kite or an harness ? Visit our local kiteshop. We although have the best repair service in the area. 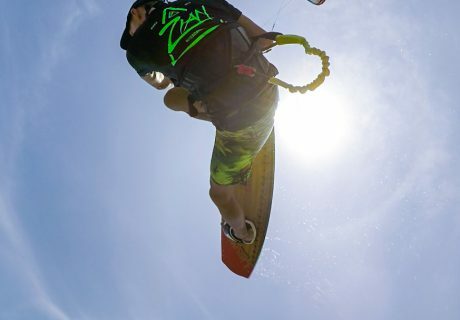 Whether freestyle, freeride, or surfing (strapped or strapless), get to the next level with our kite coach !